We believe that it is necessary and timely to promote interdisciplinary excellence in marine sciences to respond to the many challenges that threaten the ecology and diversity of marine systems. Sea level rise, loss of biodiversity, ocean acidification and over-exploitation of marine resources are all recognised global problems which will become increasingly urgent as this millennium advances. 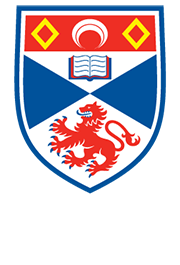 Consequently a major aim of establishing the Scottish Oceans Institute is to bring together University of St Andrews researchers who share an interest in oceanic systems science in the broadest sense. The Scottish Oceans Institute promotes excellence in marine research and acts as the conduit through which research at St Andrews continues to contribute toward understanding and managing the future of our oceans.